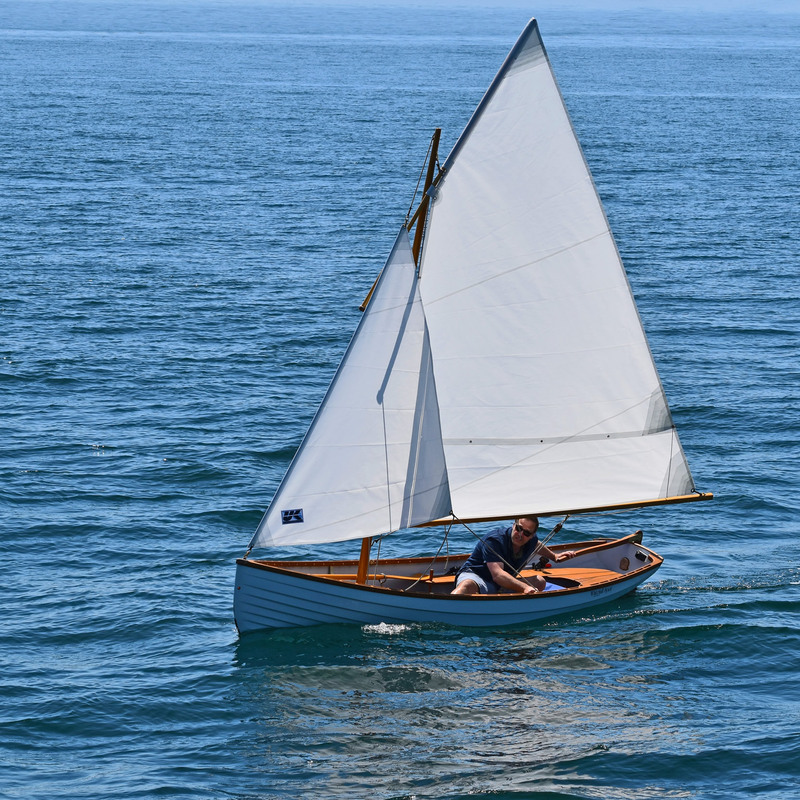 There is a strong argument to be made in favor of stating that Whitehall Rowing & Sail hand-crafts the finest all-water rowing boats and sailing boats in the world. Premium materials include hand-picked teak, sand cast bronze, brass, copper and hand-laid fibreglass. 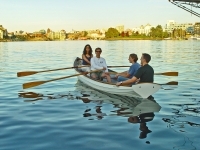 Classic looks, technologically innovative, and they row and sail like a dream in all water conditions. 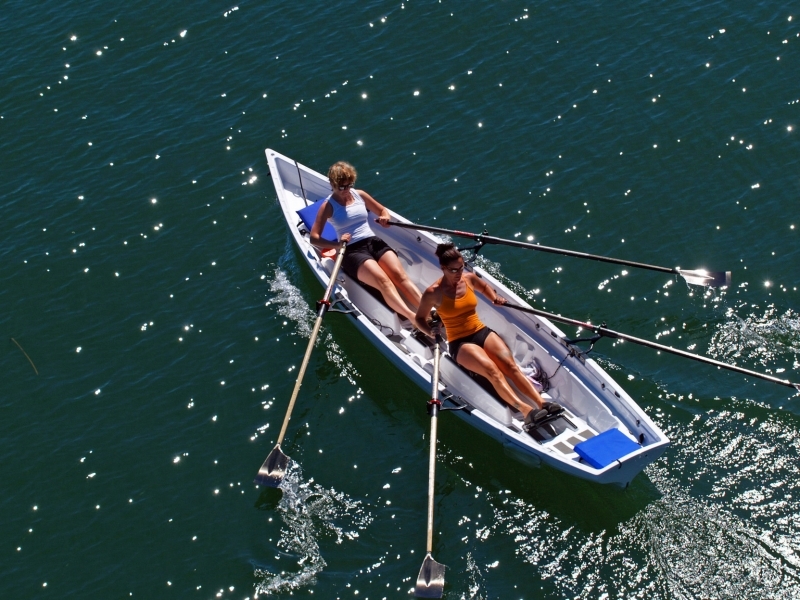 How do you quantify feeling fit, or the satisfaction of using your body, your whole body, to propel you and boat across a glassy lake or confidently negotiate four foot swells, or the feeling of serenity while your mind is focused in the moment on nothing but the fluid power of your stroke? 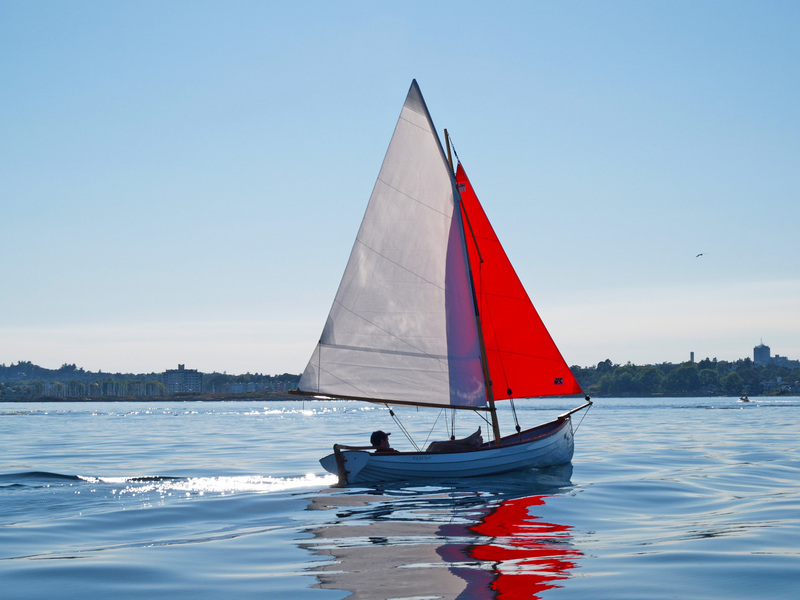 We’re not about to answer that for anyone except ourselves, but we know this is why we are inspired to manufacture, we think, the finest rowing and sailing boats in the world for over 30 years. I am the proud owner of a Whitehall Solo 14. I am interested in being an Ambassador for Whitehall because I love my boat. 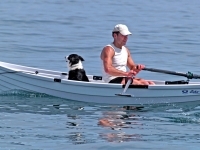 It’s a work of art; I feel safe in it when I’m out on the water; I get a great work out and you can never put a price on the “high” a rower experiences as one glides along the water early in the morning when the mist is rising off the water, loons are sounding in the distance and you feel you could row to the other side of the world. That’s just for starters. I live on the Ottawa River approximately 100km from Ottawa, Ontario. When I purchased my Solo 14 two years ago, I also ordered the dolly, cover, etc… and have no regrets. The boat dolly makes it so easy to launch the boat as well as store it. 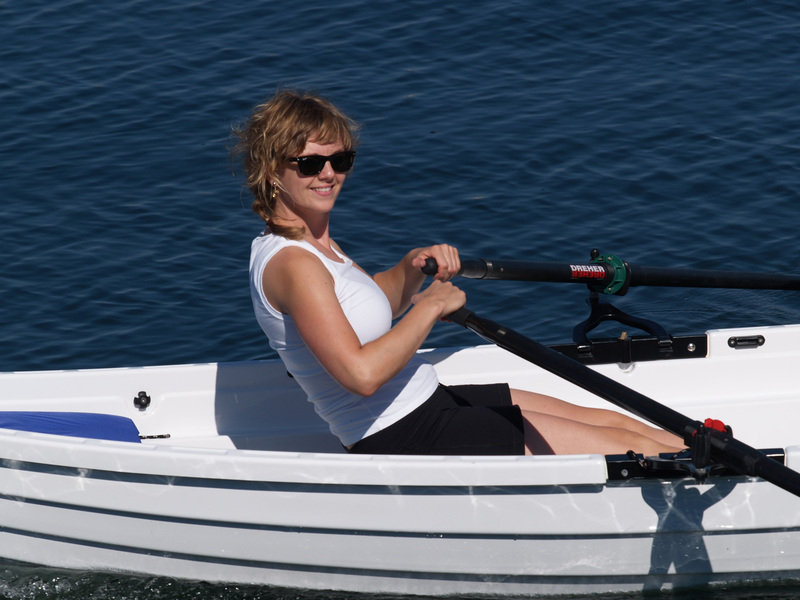 If anyone is seriously interested in rowing on a waterway with boat traffic, this is the boat to have. 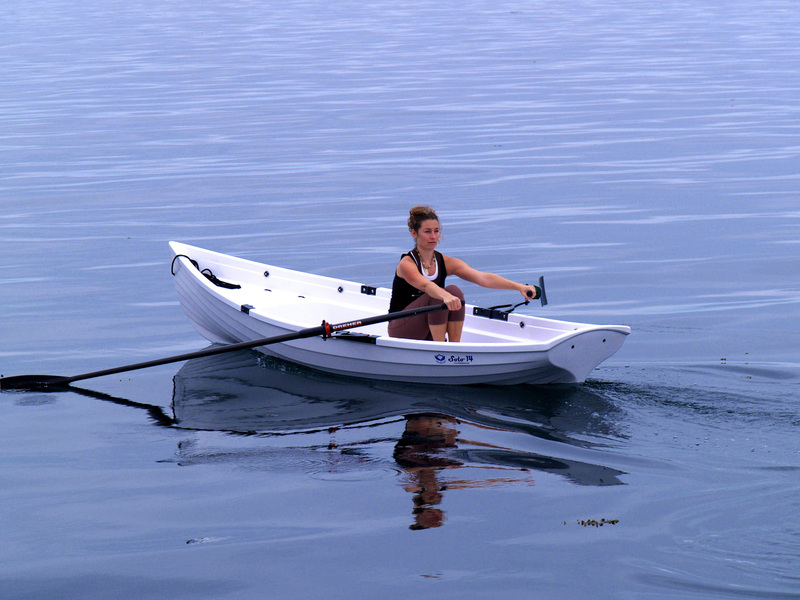 It truly is an all water rowing boat. I just rowed 12 miles a couple days ago (the mileage isn’t that extraordinary), but I circumnavigated Great Cranberry Island. The south shore of the island is open to the Gulf of Maine, so you have to choose your weather… still had 6 foot swells (long period) … the Whitehall was great. 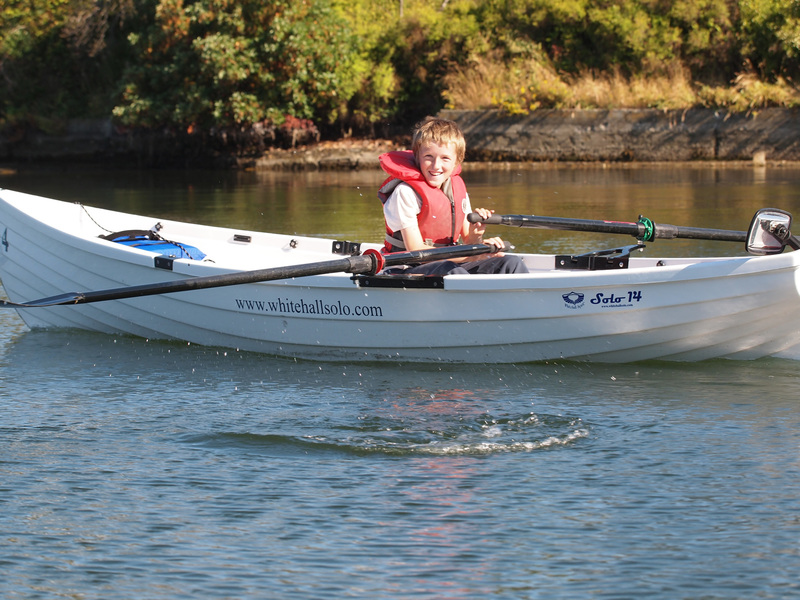 I put about 10 miles/week this summer so far on the Solo 14, one-third of the time with my 9-year-old in the stern and my 11-year-old in the bow (my 9-year-old is heavier!). I keep it up on my dock and it takes 3 minutes to launch. I’ve casually thought of starting a rowing-club/rental here (as we get huge tourist crowds in the summer) with maybe a fleet of three Solo 14s, but I need to think about it more. It wasn’t purposeful, but I had her in 6 foot near breaking waves (I was scared! ), but she didn’t take on a drop of water going into the waves, and in following seas she didn’t have any big tendency to broach. I shouldn’t have been out in this particular stretch with the tide, current and depth of water, but the Solo 14 got me back safely! I carry a PLB, radio, and cell phone (and anchor in case an oarlock breaks). 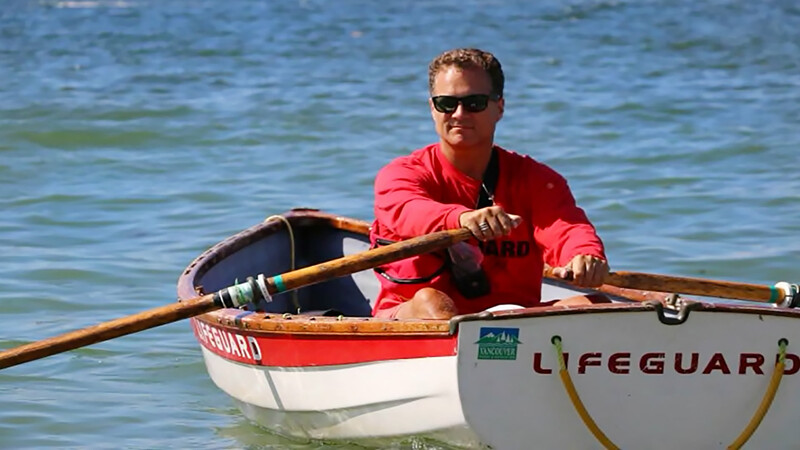 I’m a retired Coast Guard officer, so the last thing I want is the Coast Guard picking me out of the water. I’m rowing around 10min for 2000m in my Whitehall already!!!!!!!!! Granted I’m 6’4″ 260lbs. Huge leg drive. And all I have even done was row on a Concept2 for cross-fit. Never in the water. Two times out and watching the Whitehall Learn To Row Video over and over I already have the technique down. I am an Orthopedic Surgeon with my own bum knee and this provides me now with a no impact workout that I can do the rest of my life leaving my knee protected and pain free as I exercise. Comments like these make us think of our customers more as “Ambassadors,” and, as you saw above, they do too. 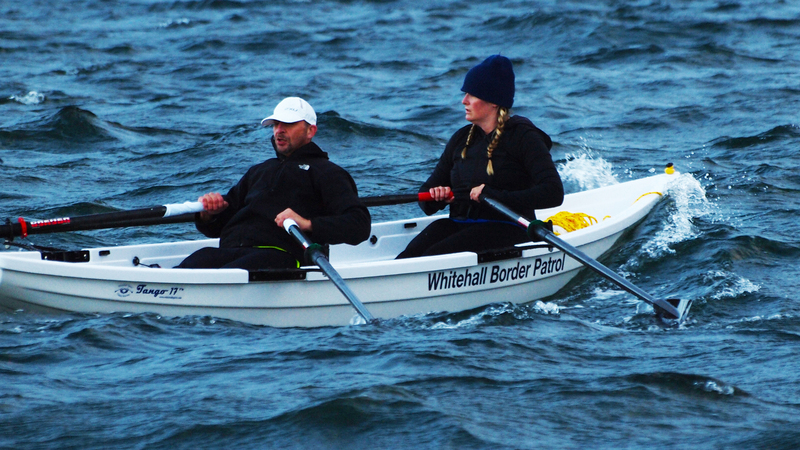 We don’t have dealers or resellers, rather a growing contingent of these Whitehall Ambassadors around the world very willing to show their boats to complete strangers in their area, and often willing to let them take them out for a row. That’s passion! 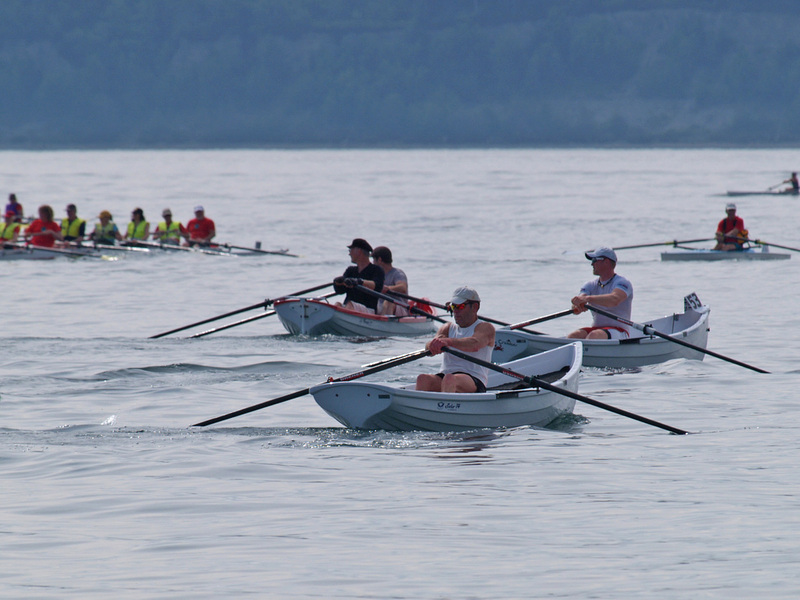 In essence, this is why Whitehall Rowing & Sail.